The event is open to the public. No registration required. Public policy making draws its legitimacy from the people, but also from being based on correct factual assumptions. This requires knowledgeable policy makers. Fact finding and science affect how successful policies are in reaching their goals, and in avoiding negative side effects. The information-gathering advantages of the executive branch also affect the constitutional power balance – the more insightful its knowledge-based decision making is, the more reason for other branches to defer to it. But how to choose what knowledge to look for, and what expertise to emphasize more? And how relevant is political tradition to these choices? 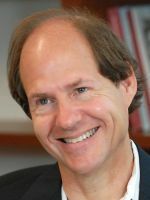 Cass R. Sunstein is the 2018 Holberg Laureate. He is currently the Robert Walmsley University Professor at Harvard University. From 2009 to 2012, he was Administrator of the White House Office of Information and Regulatory Affairs, where he helped oversee a wide range of reforms involving safety, air quality, civil rights, open government, climate change, economic opportunity, health, and reduction of poverty. He is the founder and director of the Program on Behavioral Economics and Public Policy at Harvard Law School. 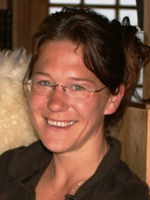 Cathrine Holst is Professor at the Department of Sociology and Human Geography and Research Professor at ARENA Centre for European Studies, University of Oslo. She is also connected to Centre for Research on Gender Equality (CORE), Institute for Social Research. Holst is currently the leader of two research projects on the role of expertise in policy-making, ‘Expertization of public inquiry commissions in a Europeanized administrative order’ (EUREX), and ‘Why not epistocracy? Political legitimacy and the fact of expertise’ (EPISTO). She is also Head of Board of the Science Studies Colloquium Series at the University of Oslo. 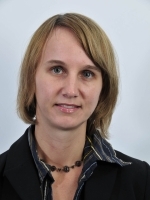 Anine Kierulf is Research Director at the Norwegian National Human Rights Institution. She previously worked as a lawyer and a judge, and as research fellow at the University of Oslo School of Law. Her main areas of research are human rights, constitutional law, freedom of expression and the judiciary, with a particular focus on how rights-thinking and judicialization of politics influence democracy. She holds an LL.M from Northwestern University and a PhD in Law from the University of Oslo.